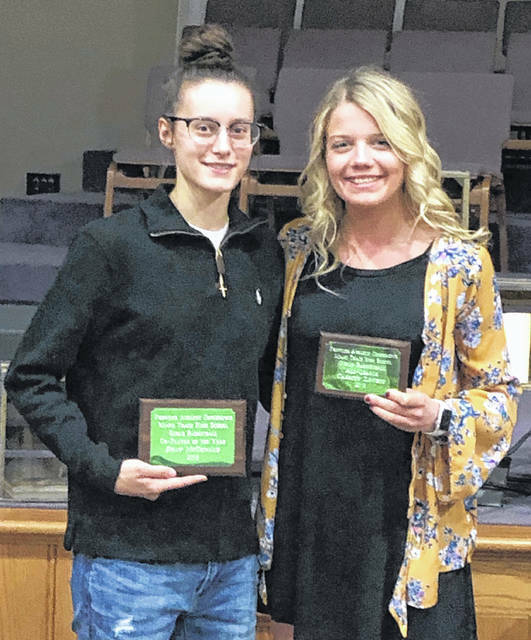 Miami Trace junior Shay McDonald, left and senior Cassidy Lovett, were recognized at the Frontier Athletic Conference’s winter sports banquet Thursday, March 14, 2019. Both basketball players were First Team, All-FAC for the 2018-19 season. Miami Trace High School had two bowlers named First Team, All-FAC for the 2018-19 season. 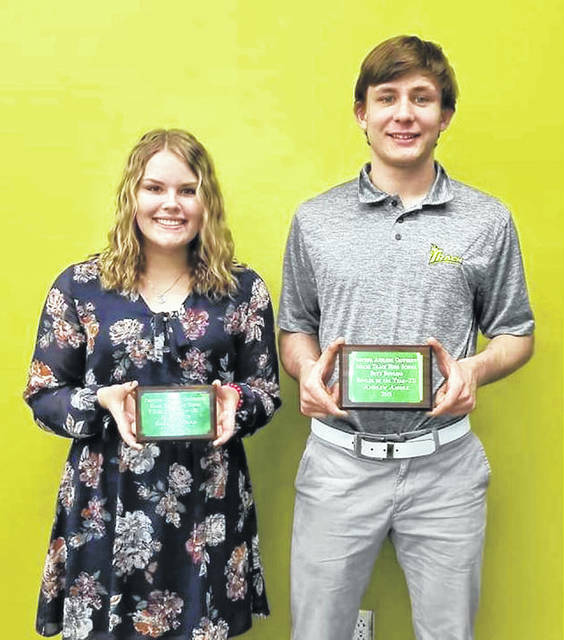 They were recognized at the Frontier Athletic Conference’s winter sports banquet on March 14. (l-r); sophomore Gabby McCord and junior Andrew Amore. Amore was the conference’s Bowler of the Year for the second year in a row.